The Golden Seashore lies at Yongning Township, Shishi on the west bank of the Taiwan Strait. 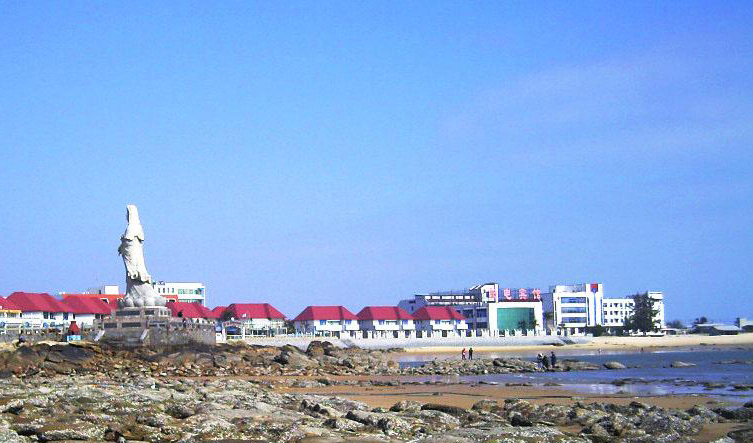 The Minnan Golden Seashore Holiday Village was solely invested by Youbang International Group of Hong Kong. It will cover 6,000 mu of land according to the plan. 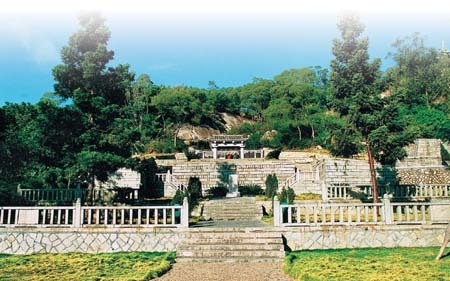 At present the main items and facilities of the Holiday Village are: the Gold Sand Amusement park, the Submarine World, the Dolphinarium, the Buddhist Empire between the Heaven and the Sea, the Buddhisattva treading the water, the Yacht Club, the Post and Telecommunication Guest House, the Marine Hotel, the Education Training Center, etc. The views of the Golden Seashore are very charming and the weather is spring all the year round. It has been a key tourist spot of Fujian integrating traffic, tour, board and lodging, shopping and playing.